I’ve done a fair amount of traveling around the world to wonderful hotels and resorts – but this one tops them all. Recently, while on a boutique tour around the world with A. Lange & Sohne, we had the delightful pleasure of staying at the Al Maha Desert Resort & Spa. Sadly – only for a couple of days, but it was enough to truly experience luxury in the Arabian Desert. Private Infinity pool for each suite. 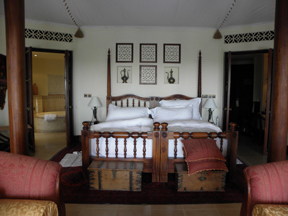 Luxuriously appointed rooms with ancient artifacts. the adventure unfolds. Each of the resort’s rooms is an individual “tent” – an adobe structure secluded from every other of the 42 “tents” in the encampment. 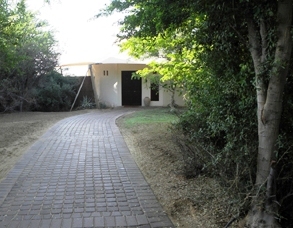 A walkway winds throughout the property, with individual walkways leading to each door. Once inside each tent, luxury awaits. Every suite is appointed with rich dark furniture, including antique Arab artifacts, a marble tile bathroom and more. The entire tent (with tent-like ceiling) features walls of glass, for unending views. 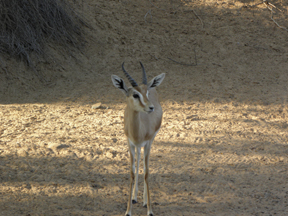 Gazelles run wild on the resort/reserve. Double doors from the sitting area open onto a private infinity pool with patio on both sides and a breathtaking view of the desert. The pool is warm and serenity immediately engulfs you. Rooms are even equipped with artist easels and supplies for those who want to try their hand at capturing the impossible on paper (I tried; couldn’t do it). Camel rides into the desert for sunset dinner is a must. 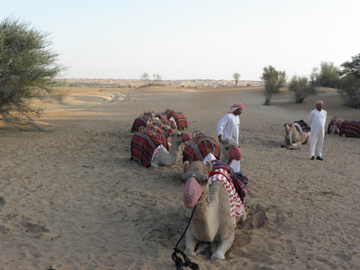 Because the resort is located on a conservation reserve (45 minutes from the city of Dubai), wildlife is abundant. I was greeted by a beautiful gazelle when I arrived at my tent – one of many of these Arabian antelopes I got to see during my few days there. Also roaming the property are Arabian Oryx, which are being bred back from the brink of extinction within the reserve. 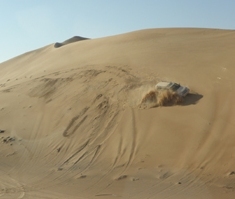 Dune Driving in the desert– pure fun! 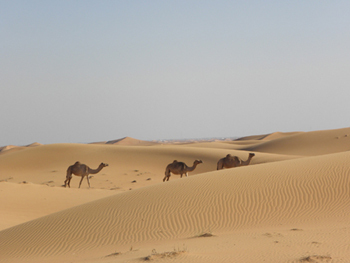 The timelessness of the Arabian Desert. left indelible marks in my memory. To my knowledge, nothing else like this resort and its side-trip exists, and while it is a trek away (pardon the pun) – it is an experience not to be missed.